Today I want to share something that I tried this summer, that I was really not looking forward to, but it turned out to be super easy (although I am not actually finished using it for what I had planned -oops). It is creating hyperlinks. Sorry to all my non-blogger friends, I guess this is not really interesting to you. It is the website, aptly named, Easy Hyperlinks. All you do, is go to the website, type in the link you want to attach to in the URL spot and the words you want displayed in the display text area and then hit construct link. Then you can test the link (if you are a little OCD like me), copy the code and paste it where you want it! I love how easy this is - and if you are like me and can not write your own html code you should check it out. 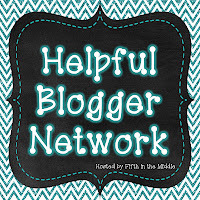 Speaking of being helpful, Diane over at Fifth in the Middle has started a Helpful Blogger Network, a group of bloggers, that are willing to help out their fellow teachers and bloggers the best they can. 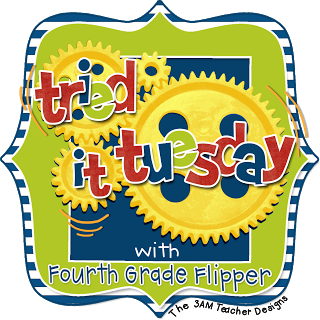 Head over to her blog to sign up or check out the list (just click on the button below). I have never heard of this site before! That is so much easier than what I do. I usually have to find where I linked something before and copy, paste, then edit it. Thanks for sharing a great tip! That is awesome! I have added Easy Hyperlinks to my bookmark bar! You rock! SUPER HELPFUL! I tried to do that when I was doing a Rafflecopter and gave up. This looks more like my speed. Thank you so much for sharing. I bet this is going to come in handy for a lot of people! Thank you! I need helpful bloggers to answer all my questions! I was wondering how that was done...thanks! I've never heard of this site. Thanks for sharing! What a great tip! Although I know HTML quite well, I LOVE shortcuts and tools to help my students. This is way easier! Thanks for sharing! This is great. I was wondering how people added those links. Thank you for sharing this. I have it bookmarked, and I'm sure I'll refer back to it. Often. Ooooo I definitely need to learn how to do this beter! HTML code scares me too! Thanks for sharing!